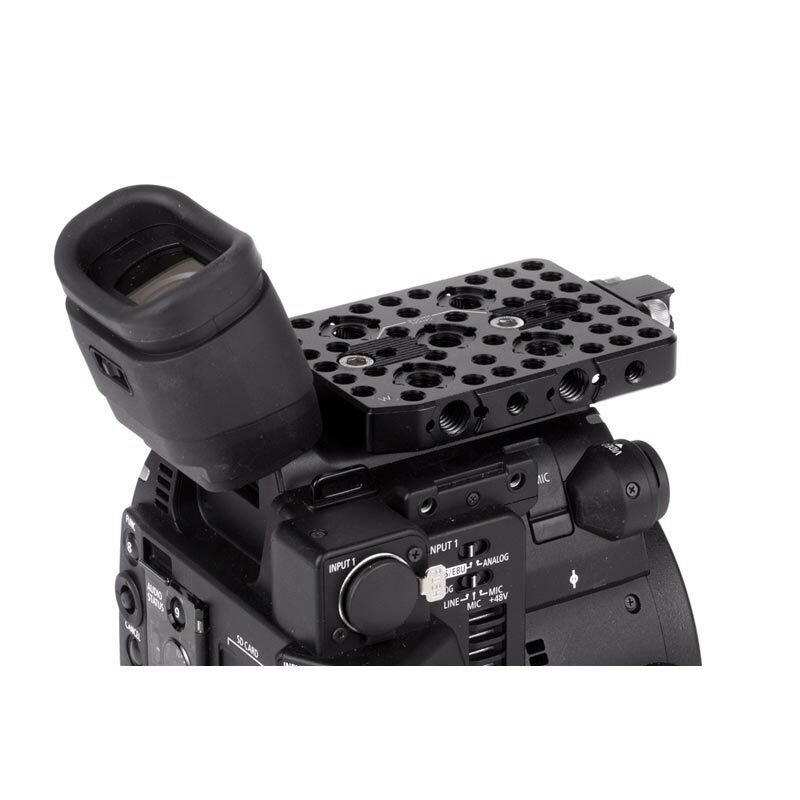 The Top Plate (Short) for Canon C200 and C200B cameras has arrays of 1/4-20 holes in standard spacing and ARRI Accessory Mount in several places (3/8-16 threaded hole with locating pins adjacent). 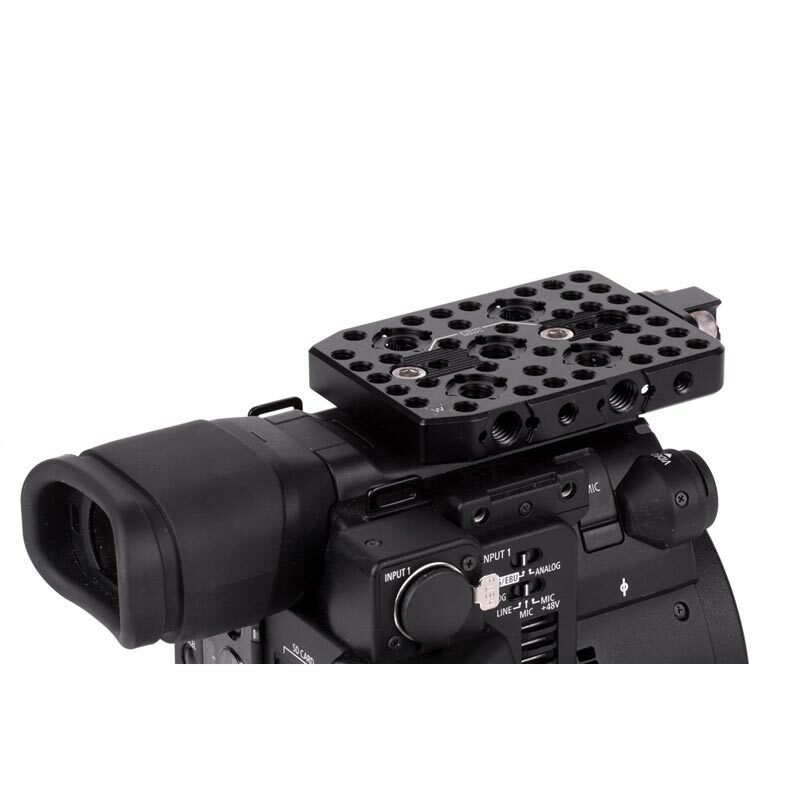 This short version of the C200/C200B Top Plate allows for full range of viewfinder motion. 1/4-20's available and marked for the camera's included handle and the Master Top Handle. 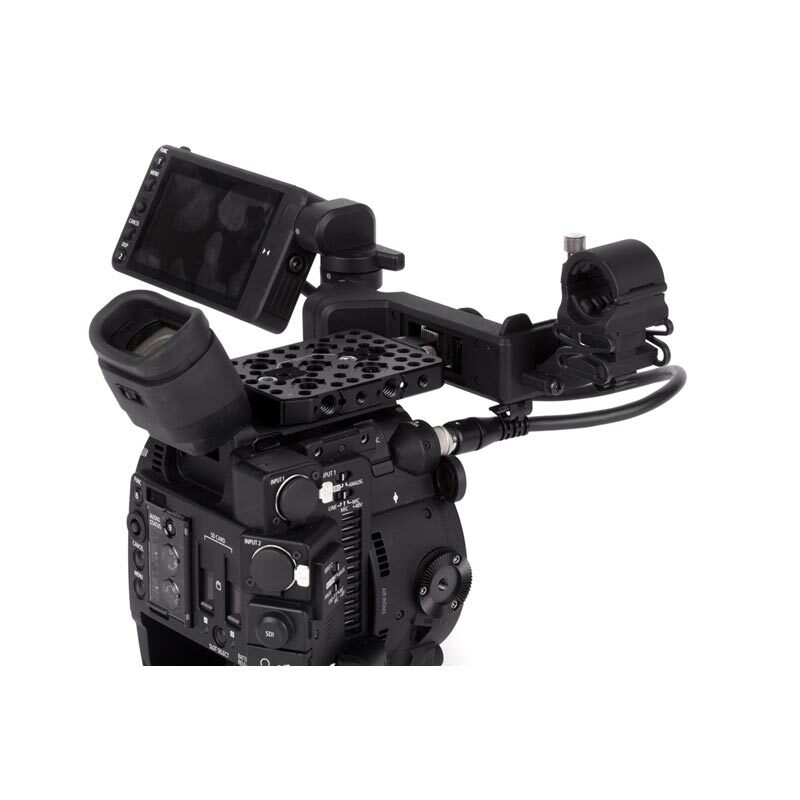 Also included with the Top Plate is a Canon C200 / C200B EVF Bracket Adapter which allows you to reinstall the L bracket and LCD that comes with the camera. 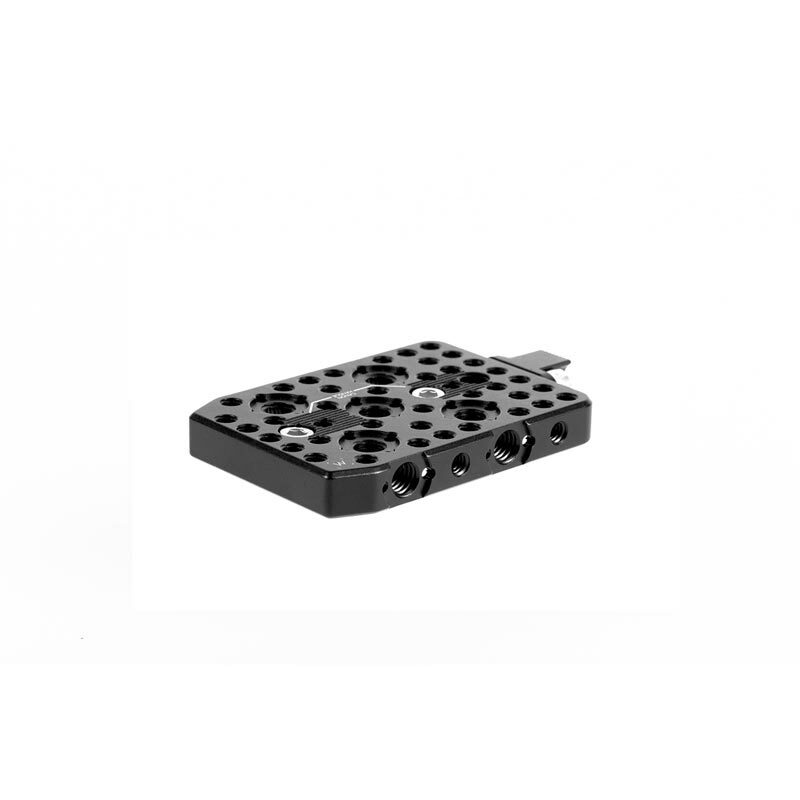 This piece can be attached to the front of the Top Plate or to the front of Wooden Camera NATO Handles. 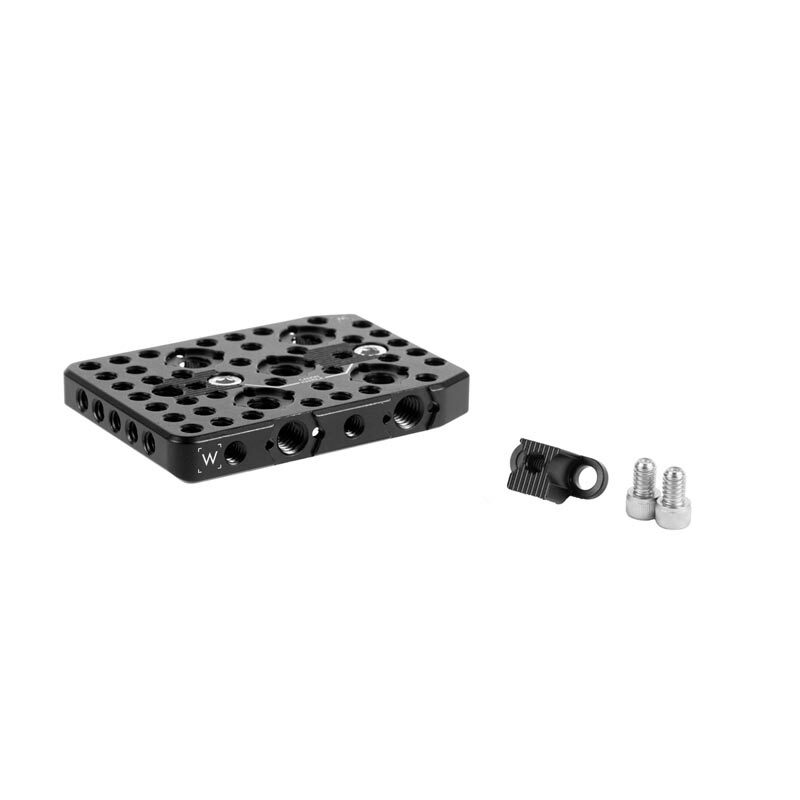 Great for mounting our EVF Mounts, Handles, Ultra Arms, and more.